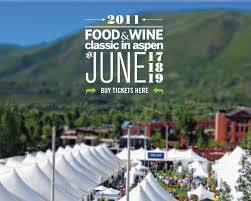 The FOOD & WINE Classic in Aspen has been sold out for a while now (sorry, procrastinators), and let’s be honest, the swanky festival’s early-bird pricing of $1,350 is out of reach for many. But if you’re just dying to see what the ultimate culinary event of the year looks like, don’t fret. Curbed Ski has rounded up where you can still find lodging, which events you can get tickets to, and how you can still have a jam-packed weekend of gluttony and booze without those flashy festival badges. Behold, our guide to crashing this iconic sold-out event (including one insider tip on how you still may be able to score festival passes).